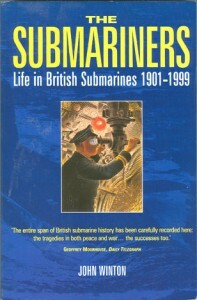 “The SUBMARINERS” Life in British Submarines 1901 – 1999. By John Winton. This is the first published selection of personal accounts of life aboard the Royal Navy’s submarines. From the Holland boats of 1901 to the giant Trident nuclear vessels of today, these vivid first-hand descriptions detail the tense patrols of the First and Second World Wars, the torpedo attacks on enemy warships, U-boats and merchant vessels, the horrors of depth charging, the daring clandestine operations, and the midget-submarine attacks on the German battleship Tirpitz. There are accounts of deterrent patrols of the Cold War, and that happened in the controversial sinking of the cruiser General Belgrano during the Falklands War. Author John Winton skillfully weaves together a wide variety of sources with linking commentary, and intersperses the compelling stories of survival and heroism in times of the most intense danger with welcome lighter moments, anecdotes about daily and domestic arrangements aboard. 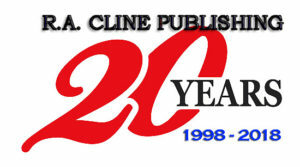 2001 Softbound edition, 316 pages, 38 black and white photos, with an index.